Houses & Homes VA: Do you know the top 10 things that will increase the value of your home? Do you know the top 10 things that will increase the value of your home? Today’s home buyers are more educated than ever before and more importantly they know what they like. Whether you are selling your home in the near future or plan to stay there forever one thing is certain, you want to maintain the value of your home as much as possible. While many factors that affect the value of your home are beyond your control there are many features steps that you can take to ensure that your biggest investment can continue to be your best. Here are 10 of the most important (and valuable) features that home buyers (and assessors) look for when determining the market value of any home. 1. Nothing is more impressive in any home than a clean, modern kitchen with plenty of workspace. If you have a small kitchen the most important features will be to have cabinets that are in good working order and budget allowing, modern appliances. Above all this is one room in the house that must be clean. A dirty kitchen is your worst enemy when trying to maintain your home’s value. 2. As I have said many times before, a master bedroom suite is very popular today but usually costs more than the value of your home will increase. Although you probably won’t recoup the cost of this improvement in your home’s value it is still a very desirable feature for most people and if it fits your lifestyle it may still be worth the investment. If money is an issue even a small improvement such as adding walk in closets will add value to your home. 3. A home that uses lots of natural materials is always a big plus. People love ceramic tiles, granite counter tops and hardwood floors and there is no indication that this is going to change any time soon. If you have some or any of these features in your home you’ve made the right decisions. 4. The outside of your home can affect its value just as severely as the inside. Aside from keeping your property clean and well maintained landscaping plays a critical role when assessing the value of your home. A well groomed lawn and a few flowers in just the right place can beautify your home and if you are lucky enough to have mature trees you can add thousands to your home’s value. 5. A modern bathroom is just as important as a modern kitchen on today’s market. There’s isn’t much that you can do to your bathroom that can be considered “too much”. Double sinks, a whirlpool tub, double sinks, a separate shower and tub and even a separate room or divided space for the toilet are all excellent investments. 6. One of the first things that people look for in a home are attractive and energy efficient windows. This is a perfect choice whether you plan to sell or not because of the potential savings in energy cost that quality windows will provide. This is one of the best investments you can make to increase the value of your home. 7. Plenty of storage has always been and will always be a highly sought after commodity. You can’t go wrong with attic space, plenty of closets or even an over sized garage. There is no such thing as too much storage! 8. Another huge feature in any home is natural light. The more light that enters a home the more “open” and spacious the home will feel and that is very important. I have never sold a home because the buyer’s liked its dark and dingy atmosphere! 9. There was a time that very few people had a finished basement but that had definitely changed. Today people are looking for as much living space as possible and a remodeled basement can add up to 1/3 more usable space in a typical home. Much like adding a master suite it is not always possible to get a 100% return on the money that you invest on this project but it will add significantly to the value of your home. 10. When people think of increasing the value of their home they often overlook the obvious. Curb appeal is extremely important when assessing your home’s true value. How important? A house with great curb appeal can sell for as much as 10% higher than a comparable home that is unattractive from the outside. 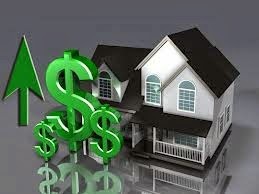 10% is a huge difference in the value of any home and it just goes to show, first impressions count!